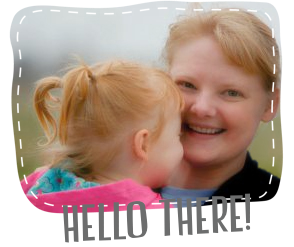 It's that time again: Blogger's Quilt Festival! I'm entering my latest finish, Gypsy Wife, into the modern category. The quilt is approved by Ginger #1! I am really proud of this quilt. It has been a work in progress for well over a year. I custom quilted my gypsy wife quilt with Isacord thread in gold. 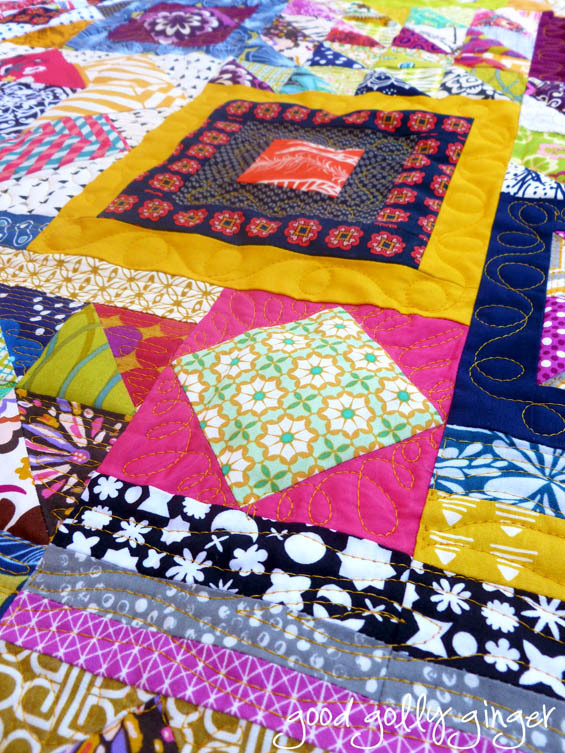 The strips are quilted with an all-over, free motion tree design. 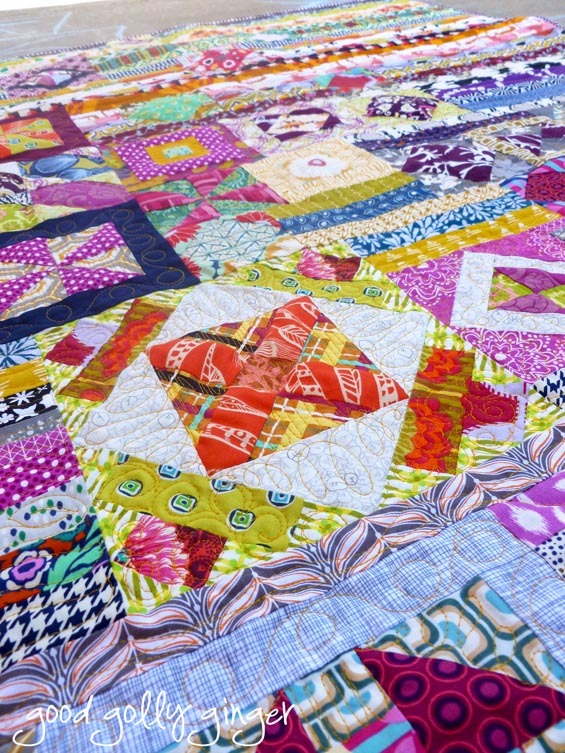 Each block is quilted with loops, squiggles, swirls, and lines. 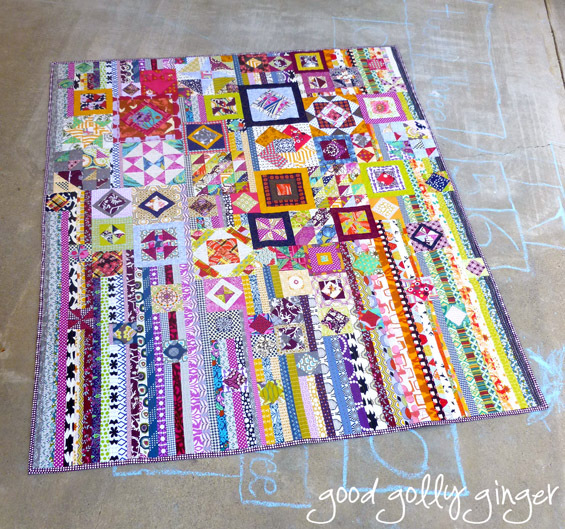 It took a full week to quilt! 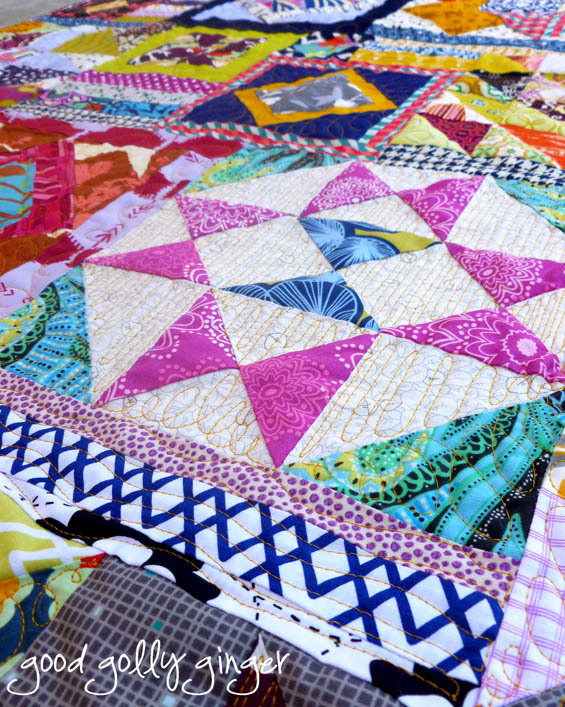 I left some areas unquilted so that they would pop and give the quilt more depth. I used wool batting. So the unquilted areas really pop nicely. 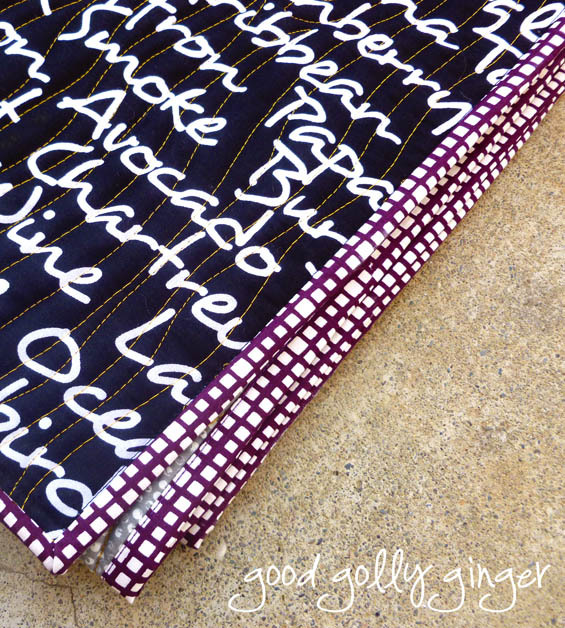 For the binding, I used Art Gallery Squared Elements in Merlot. For the backing, I used Windham Wideback Text in black. 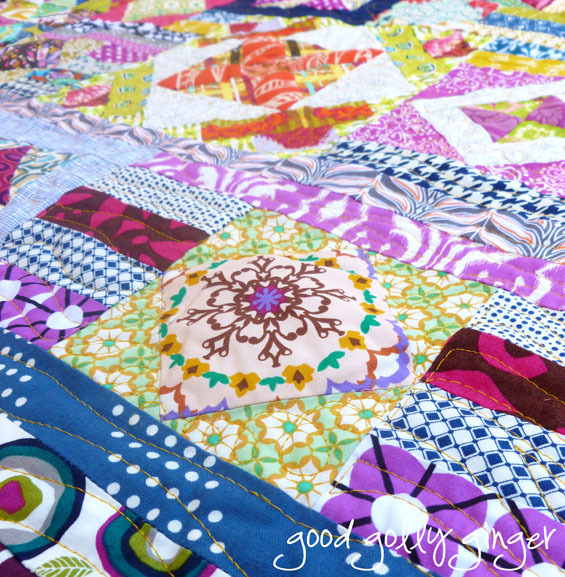 To me, it was made just for the gypsy wife quilt...perfect match. One more full shot...LOVE! The finished size is 59" x 68". Thank you to Amy of Amy's Creative Side for hosting and organizing this great festival! 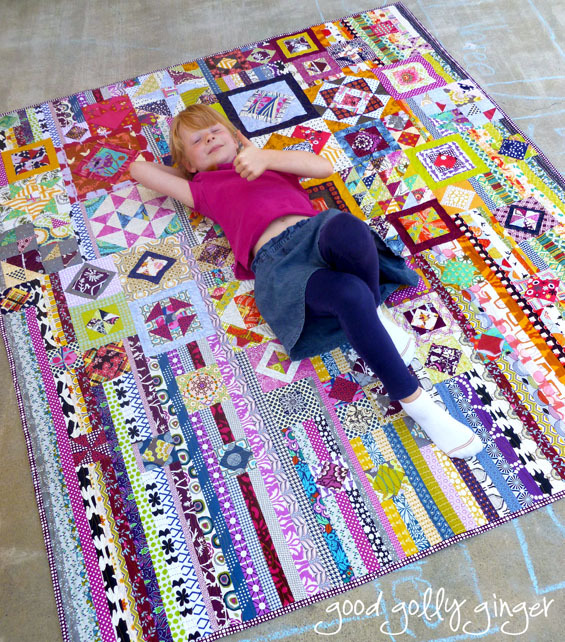 This quilt is a winner! I love the modern fabrics and designs! 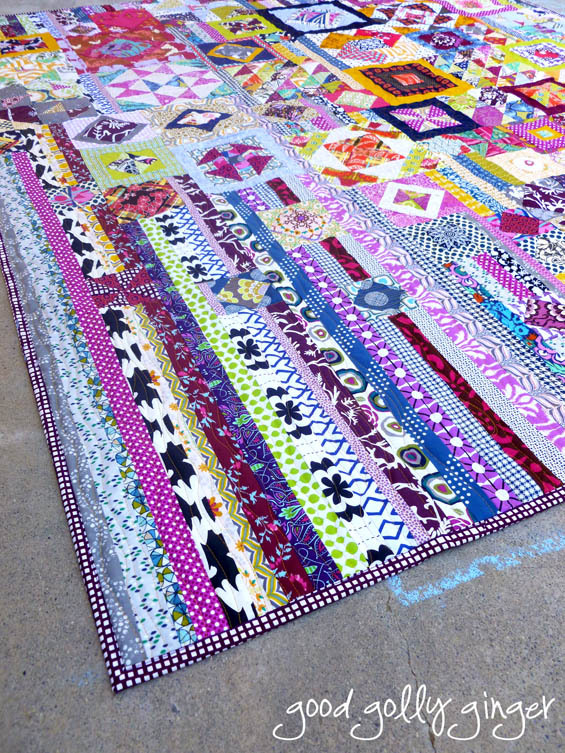 Your fmq is over the top and just what this fantastic quilt needed! Beat of luck!! 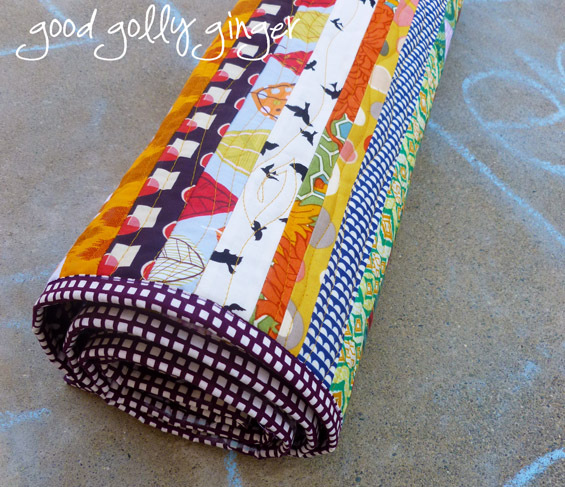 This quilt pattern is so great, your quilt has turned out lovely. Katie, your quilt is awesome. Clearly one of my favourites of this festival. Love how you set off the blocks by adding the strips of fabric. Great choice of colours and layout. Absolutely stunnig! Beautiful! I love the fact that you used wool batting so the unquilted areas pop. By the time I get around to doing my Gypsy Wife, it will no longer be "in"